CBD products are steadily growing more and more popular but do you know exactly what is in your products? 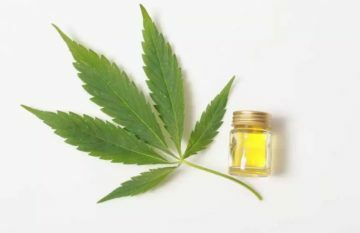 The truth is that, while CBD products are made from by extracting the substance from the hemp plant and filtering it out, other chemicals and substances that are found in the hemp plant will often make it into the mixture as well. For some, this isn’t too much of a problem as they are still getting their desired CBD. 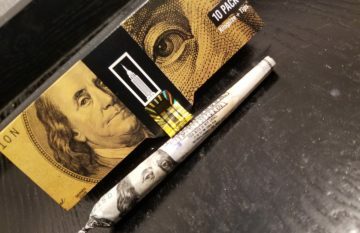 Others, however, may be picky about what is in their product and they may only want CBD rather than a mixture of substances that are found in the hemp plant. If you relate more to the latter scenario, we would like to teach you more about CBD isolate and how it will meet your needs. For those who are unsure of what CBD is, it is important to address that issue before we begin diving into CBD isolate. To put it simply, CBD is an active ingredient that is found in hemp that belongs to a group of chemicals known as cannabinoids. Cannabinoids are substances contained in the hemp plant that are responsible for some of the effects that we experience when we introduce hemp to the body. For example, THC, which is found in cannabis, produces the characteristic high that you experience when you smoke marijuana. 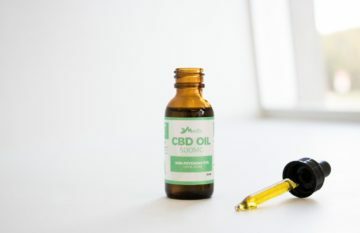 While CBD does not contain the psychoactive properties, it is said to have a host of medical benefits, which is why many use it for a variety of conditions and diseases. Like we said in the first section, CBD products do not always consist of plain CBD. A lot of what goes into products that contain CBD extract consists of other substances found in the hemp plant, even trace amounts of THC. CBD isolates are products that seek to address this issue by further filtering the initial byproduct of the extraction process. The result of this further extraction is almost completely pure CBD that can then be used in products or simply by itself. CBD Isolates are very versatile in the way they can be used. They can be smoked from a dab rig, used as a skin cream, vaporized from a dab pen and even melted into tincture oil. Whether you choose to use a CBD isolate or stick with your typical products, each come with their advantages. One of the benefits of CBD isolate is that you know exactly what you are taking and are better able to provide yourself with a potent CBD product that will hopefully provide you with the effects that you are seeking to experience. Another benefit of CBD isolate is that you can use it in any way that you can think to. 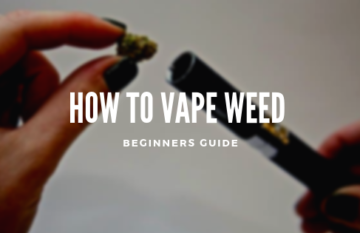 Whether you want to simply put it in your mouth and let it absorb or you want to incorporate it into a product that you can eat, put in your body, or vaporize, all of the options are at your disposal. One of the other important benefits that many users get out of using CBD isolate is the lack of THC. Some users feel more comfortable taking substances without THC and this is only possible when you use CBD isolate instead of other products featuring CBD extract. To be completely honest, there is not too much of a difference when using CBD isolate over full spectrum CBD except for the potency and the ingredients found within. Some CBD products that contain only extract are not potent enough and in this situation, CBD isolate may be the more desirable product for those who need more CBD to get their desired effects. On the other hand, full spectrum CBD contains more ingredients, which all work together to create something known as the entourage effect. Pure CBD will only provide the effects that CBD is said to provide. Full spectrum CBD, on the other hand, may provide slightly different effects due to the interaction between different elements in the hemp plant. This may not make much of a difference for some but others may find that they prefer full spectrum CBD. It all depends on how the different active ingredients work together. For example, when you mix CBD with THC, you will notice a much more mellow high. If you experience paranoia when smoking too much marijuana, CBD can help alleviate that. With the full spectrum entourage effect, you end up getting terpenes in there too sometimes. Terpenes are what gives the cannabis smell and flower. Different terpenes have different characteristics. In the end, it all depends on how you feel after taking each and whether or not one provides you with better benefits than the other. Full spectrum is not much different than isolates from the way they are used. 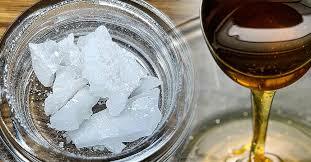 Just the way you use isolates you, you can use full spectrum like smoking, vaping or tincture oils. While CBD products work well, they aren’t always made from pure CBD and they aren’t always the most potent products you can get your hand on. If it is important to you to have products that only have CBD and have it at such a level that you are guaranteed to reap the benefits you want, consider CBD isolate for your needs and use the guide above to learn more about what CBD isolate is and what it may do for you.